Imagine being able to keep your projects in sync as proofs progress through the review and approval workflow, or creating proofing tasks for reviewers in your chosen project management tool. Now imagine doing this directly from within Ziflow. Today’s release makes this possible. A new “Webhook” Zibot has also been developed that may then be used to call any publicly available API so you can easily integrate Ziflow with any of your favorite applications like Trello, Slack, Basecamp, Asana, Airtable and many more. For example, when a proof is approved in Ziflow, a Zibot is triggered and automatically updates the online proofing task on your Trello board keeping both systems seamlessly synchronized. 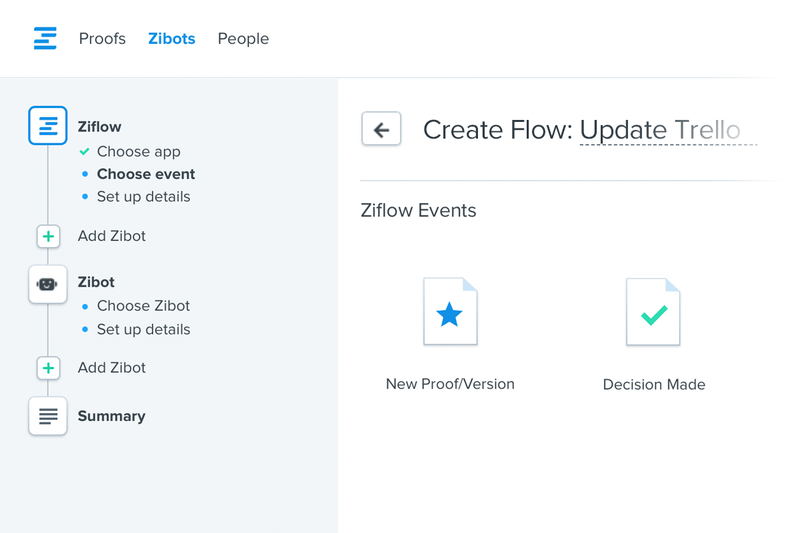 You can access these new features by clicking on Zibots and then creating a new Flow. 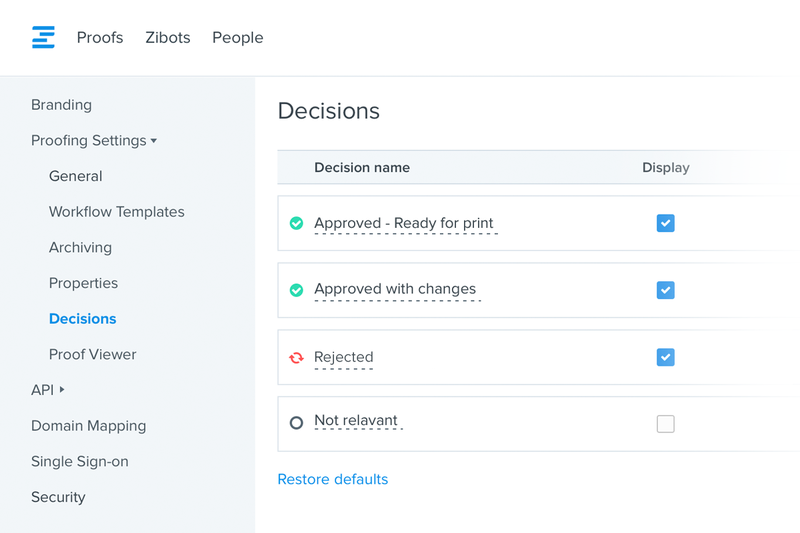 We’ll be adding more triggers and application-specific Zibots in our upcoming releases. If you require any assistance with integrating Ziflow, or suggestions on what triggers would be most useful to you, please reach out by emailing us at support@ziflow.com. Do our decision labels just not cut it for you? Today you can change it to something that better represents your workflow. You can access this feature by going to Manage Account > Proofing Settings > Decisions and then clicking on the decision label. Please note: the underlying meaning of a decision and the overall status calculation logic will remain intact i.e. the order of decisions cannot be changed, only the label. A feature unique to only a few cloud applications is the ability for users in different accounts to see data shared between them. For example, in Ziflow, when a proof manager in one account shares a proof with a reviewer that is a user in another account, that reviewer will see the proof in their dashboard. In many cases, our customers need to manage multiple accounts, be they “Reviewer Dashboard” accounts or an account per agency client (often referred to as “Satellite Accounts”). So in January we released the capability for a single user to belong to and manage multiple accounts and thereby eliminating the hassle of managing multiple email addresses to log in to each “satellite” account. This month’s release allows Admins to set up trust relationships between these accounts aka “Partner Relationships”. You can access this by going to Manage Account > Security > Trusted Accounts. 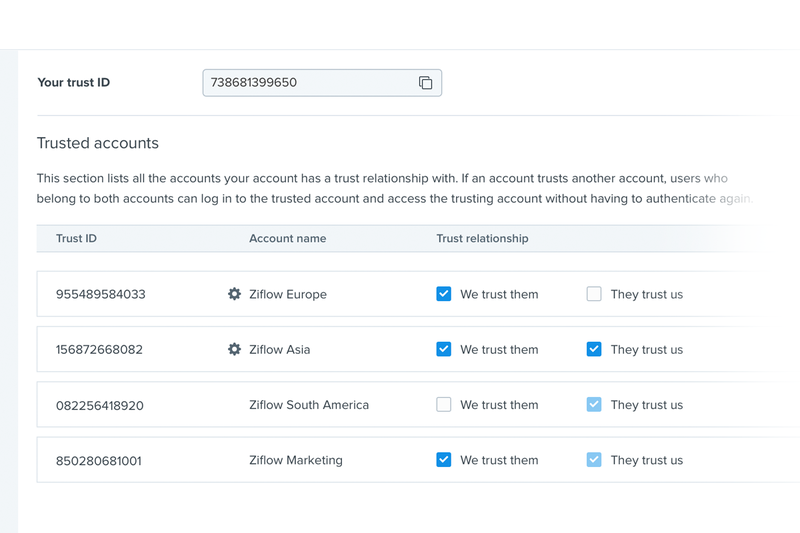 Trusted contacts: Active users of the trusted account are automatically synchronized to the trustee account’s contacts. To improve the quality of static proofs in the viewer, we’re now using vector graphics for text. The result is a much-improved level of quality when reviewing proofs, no matter the zoom level. You can switch back to non-vector based text in Manage Account > Proofing Settings > Proof Viewer > Other Options > Use Vector-based text. Achieving precise text selection in an online proof viewer is no mean feat. 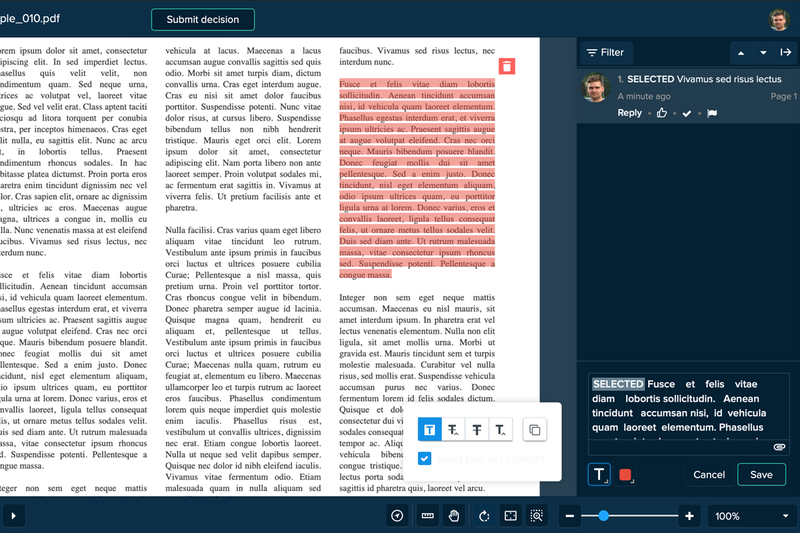 Ziflow has enhanced its proof viewer to improve the user experience and allow for better selection of paragraphs when using the text annotation tool. This is especially key for proofs with a large number of paragraphs or with a copy layout broken up into multiple columns. Note that Ziflow already allows reviewers to select multiple strings of text in a single comment. Rich Media proofs: reviewers can now change the resolution of the proof when reviewing Rich Media/HTML5 proofs to see how the content will render on various screen sizes and devices. Reporting: you can now include your custom proof properties when exporting proofs to CSV.